Produced by the Electronic Transactions Association, Transact is billed as the world's biggest payments technology event, providing an opportunity for networking and to discuss new technologies and trends in payments. The event draws a variety of attendees, including financial institutions, tech start-ups, and entrepreneurs looking to improve the payments marketplace. "I'm thrilled to talk to the payments industry at Transact," said Bailey, the Apple executive in charge of Apple Pay. "We have a great story to tell about how we are working to bring customers even better payment experiences in all aspects of their daily lives." On Bailey's keynote, ETA CEO Jason Oxman declares "Apple Pay has transformed our industry by enabling customers to pay using their favorite Apple devices. With contactless sweeping the U.S. in 2019, we look forward to hearing from Jennifer about the latest mobile payments news and how Apple is creating new consumer experiences." Transact will take place from April 30 until May 2 at the Mandalay Bay Convention Center, Las Vegas. Approximately 4,000 attendees are expected representing over 500 companies, along with more than 200 exhibitors showing their latest developments on the show floor itself. Apple Pay is one of a number of sectors contributing to Apple's reliably-growing Services arm, which in November rose revenue by 27 percent year-on-year to contribute $9.981 to overall company revenues. At the time, it was revealed Apple Pay transaction volumes tripled compared with the previous year, with some 60 percent of all retailers in the United States and 71 percent of the top 100 chains supporting the payment platform. 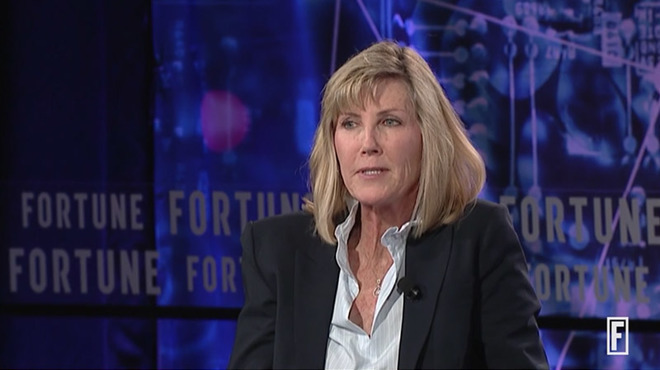 In her role as Apple Pay chief, Bailey has previously spoken about payments in a number of events. In September, Bailey was interviewed at the Fortune Brainstorm Reinvent conference, and advised Apple was not looking to disrupt the card payment industry, instead to introduce an attractive customer solution that worked in tandem with established payment methods.